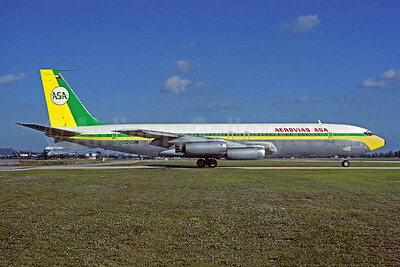 Boeing 707 Aircraft Pictures. Photos. Framable Color Prints and Posters. Digital Sharp Images. Aviation Gifts. Slide Shows. 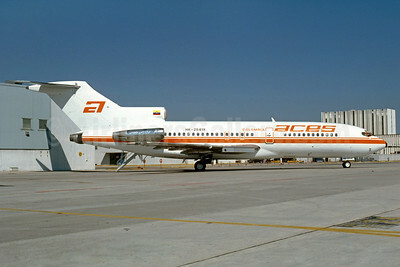 ACES Colombia Boeing 727-25 HK-2541X (msn 18281) MIA (Bruce Drum). Image: 102919. 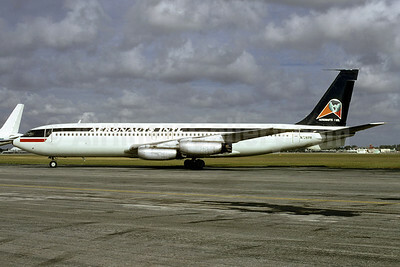 AECA Carga Boeing 707-330C HC-BTB (msn 18937) MIA (Bruce Drum). Image: 103504. 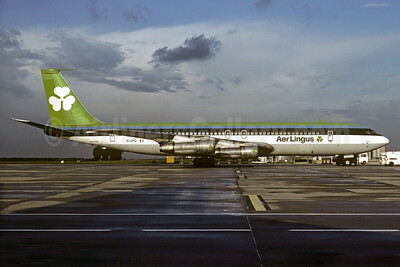 Aer Lingus Boeing 707-348C EI-APG (msn 19410) CDG (Christian Volpati). Image: 907378. 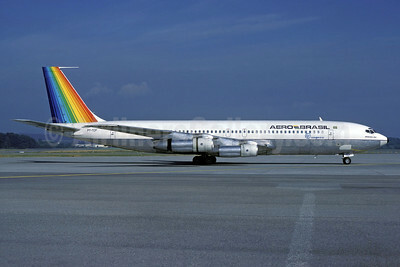 Aero Brasil (Trans Brasil-Transbrasil Linhas Aereas) Boeing 707-365C PT-TCP (msn 19416) ZRH (Rolf Wallner). Image: 913296. 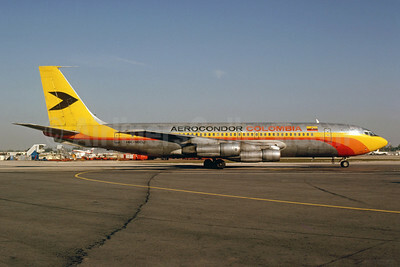 Aerocondor Colombia Boeing 707-123B HK-1802 (msn 17638) MIA (Bruce Drum). Image: 102883. 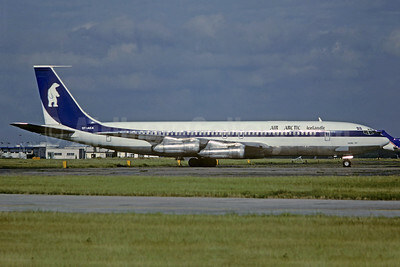 Aerolineas Argentinas Boeing 707-372C LV-LGO (msn 20076) ORY (Christian Volpati). Image: 907359. 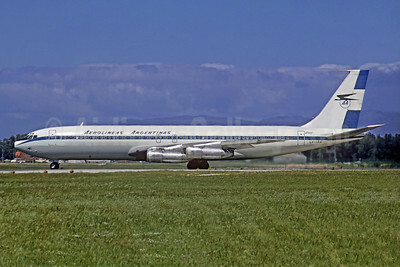 Aerolineas Argentinas Boeing 707-387B LV-ISA (msn 19238) SCL (Jacques Guillem Collection). Image: 933551. 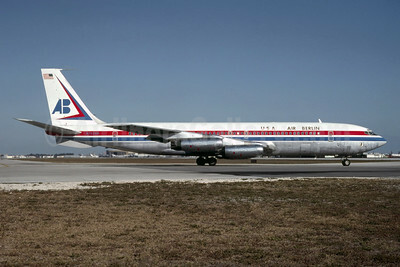 Aeronauts International Boeing 707-321 N726PA (msn 17604) MIA (Bruce Drum). Image: 103341. 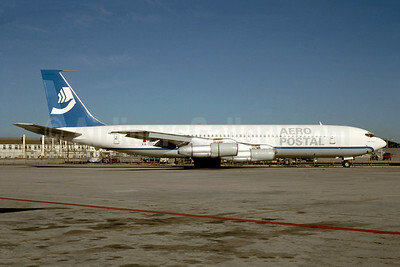 Aero Postal (Mexico) (1st) Boeing 707-351C XA-TDZ (msn 19774) MIA (Bruce Drum). Image: 103514. 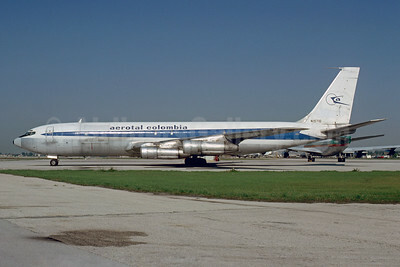 Aerotal Colombia Boeing 707-321 (F) N70798 (msn 17605) MIA (Bruce Drum). Image: 103557. 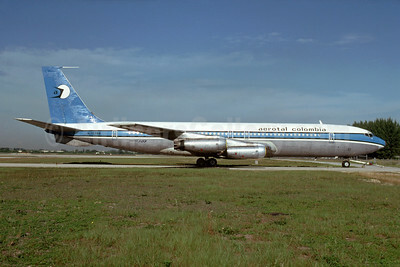 Aerotal Colombia Boeing 707-331C N15710 (msn 19566) MIA (Bruce Drum). Image: 103556. 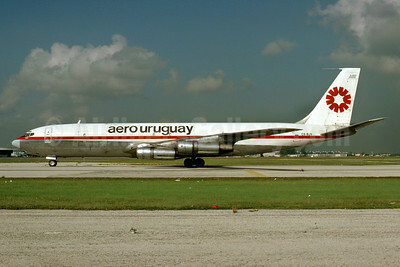 Aero Uruguay Boeing 707-331C CX-BJV (msn 19212) MIA (Bruce Drum). Image: 103387. 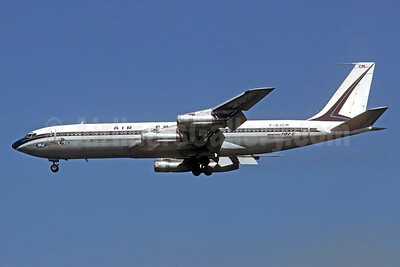 Aerovias ASA Boeing 707-344 CC-CGM (msn 17928) MIA (Al Rodriguez - Bruce Drum Collection). Image: 930214. 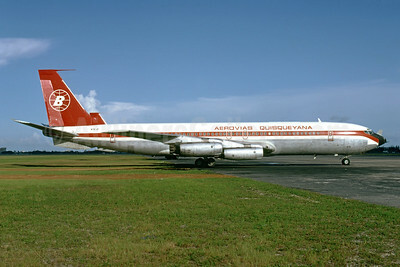 Aerovías Quisqueyana Boeing 707-321 N731JP (msn 17607) (Turkish Airlines and Basna Air Services colors) MIA (Bruce Drum). Image: 103770. 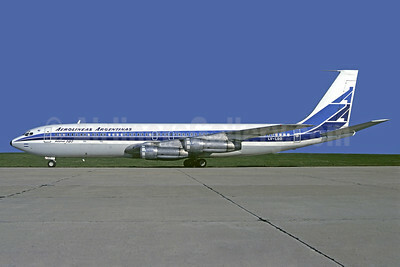 Air Arctic Icelandic Boeing 707-321C TF-AEA (msn 18714) BRU (Christian Volpati Collection). Image: 922421. 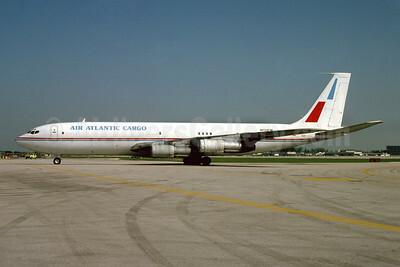 Air Atlantic Cargo (Nigeria) (Florida West Airlines) Boeing 707-369C N725FW (msn 20085) MIA (Bruce Drum). Image: 103567. 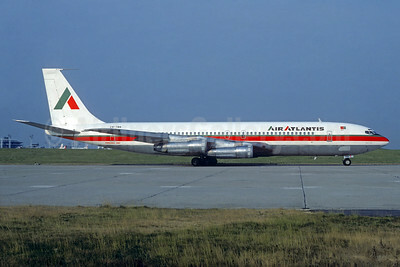 Air Atlantis Boeing 707-382B CS-TBA (msn 18961) "Santa Cruz" ORY (Jacques Guillem). Image: 934063. 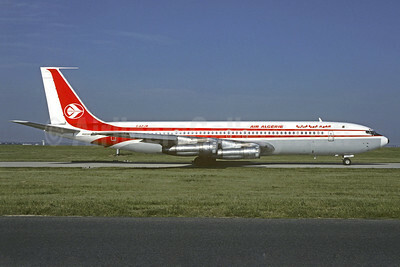 Air Berlin USA Boeing 707-331 N763AB (msn 17676) MIA (Al Rodriguez - Bruce Drum Collection). Image: 925005. 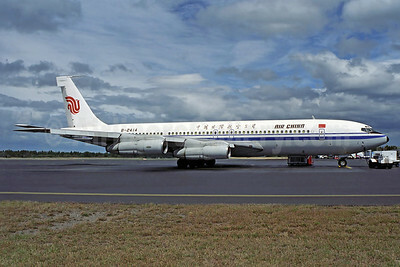 Air China Boeing 707-3J6C B-2414 (msn 20720) HBA (Rob Finlayson). Image: 936932. 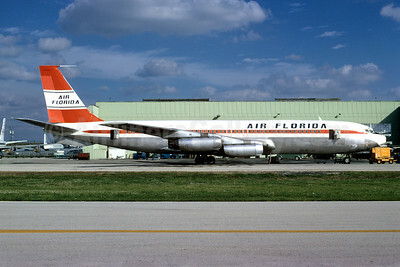 Air Florida (1st) Boeing 707-331 N705PA (msn 17686) MIA (Bruce Drum). Image: 102042. 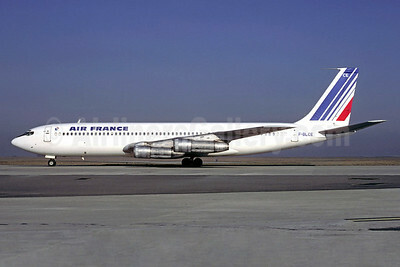 Air France Boeing 707-328B F-BLCE (msn 19291) CDG (Christian Volpati). Image: 901134. 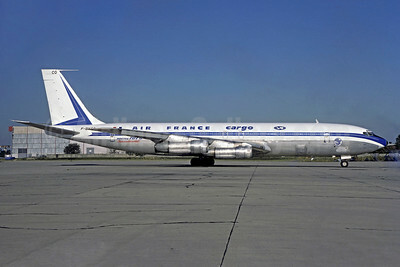 Air France Boeing 707-355C F-BJCM (msn 19986) ORY (Christian Volpati Collection). Image: 925033. 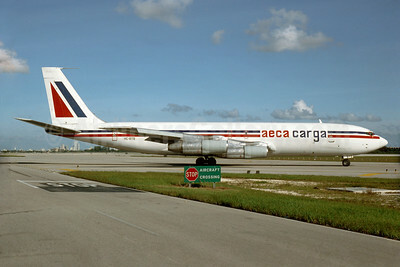 Air France Cargo Boeing 707-321C F-BYCO (msn 19373) ORY (Christian Volpati). Image: 905190.